I only recently watched this film again after decades. 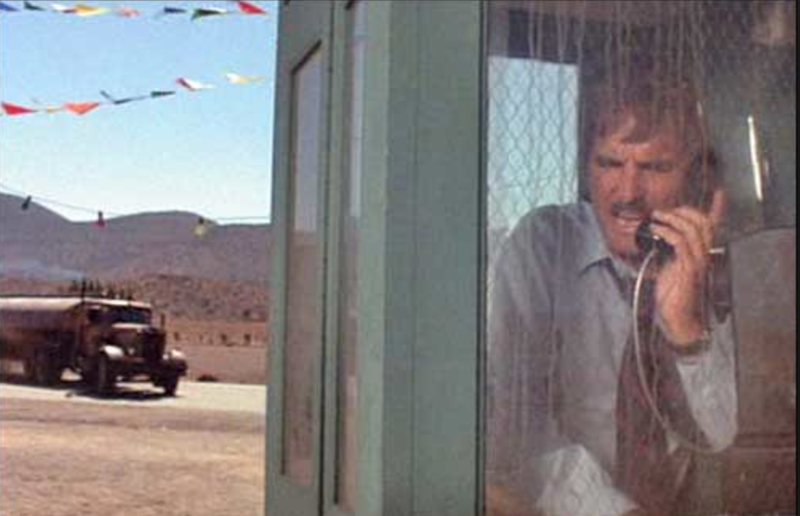 But I was immediately struck by a WOO moment early in Spielberg’s career when Dennis Hopper finally stops at a wayside telephone to call the cops on the maniac truck driver. What is parked at rear of the gas station/diner’s parking lot? A Death Valley Days type Conestoga wagon like you see in parades… and right beside it an authentically old and battered version of Professor Marvel’s traveling tinker’s caravan/combination medicine man wagon! See Twister for an exploding tractor trailer as spectacular as the one in this film.